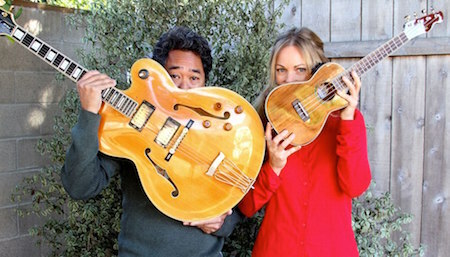 Carlsbad’s 2016 TGIF Concerts In The Parks brings together two, two, two bands for one as Western Centuries with The Bedbreakers bring their brand of country and rockin’ roots blues to Poinsettia Park. Yee haw. Round up a country band and an early R&B group with three lead vocalists, weave in a hefty amount of vocal harmony and witty turns-of-phrase and let ‘em rock out like The Band. The sound of roots music mavericks Western Centuries sits at these crossroads. The Bedbreakers are one of San Diego’s top Roots and Blues bands. Music begins at 6 PM if you wanted to bring some hay bales to sit on, they wouldn’t be out of place. Poinsettia Community Park is located 6600 Hidden Valley Road in Carlsbad, California. Parking shuttle service operates between 4:30 to 9 p.m. from North Coast Calvary Chapel, 1330 Poinsettia Lane. For info on the rest of the TGIF Concert In The Park please click here. What better way to close out the City of Carlsbad’s TGIF Concerts in the Parks than with the blue-hair waving sounds of The World Famous Glenn Miller Orchestra. Who is that? Well, maybe you should ask your grandmother (or great-grandmother?) and she’ll tell you that Glenn Miller’s Orchestra was the swingingest thing since the New York World’s Fair in 1939. We’re just hoping there will be more people in the audience than in the orchestra. Calavera Hills Community Park is located at 2997 Glasgow Drive, Carlsbad, California. If you don’t want to hassle with parking leave the car at Sage Creek High School and ride a shuttle. Shuttle service operates between 4:30 and 9 PM. 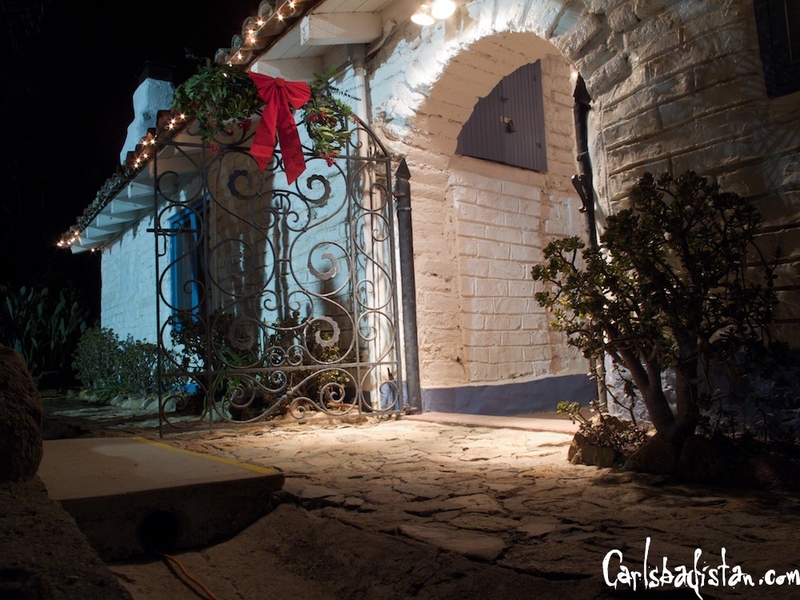 The streets of Carlsbad Village come alive on Friday night December 19, 2014 as part of a special Christmas edition of Friday Night Live featuring Christmas caroling. Gather the family and enjoy this enchanting holiday presentation as you witness the sights and sounds that make this time of year so magical. Hot cocoa and cider will keep you warm as you briefly escape the holiday rush and swoon over performances by local crooners like Alan Land and Susanna Kurner with Adrian Demain on guitar. . . While you’re out, browse Village shops like The Beat Clothing and Lavender Blu in search of the perfect holiday gifts, or keep the holiday spirits flowing with a seasonal craft beer at 83 degrees. Village restaurants like Gregorio’s and Café Panini will also be ready for your post-caroling feast. Friday Night Live runs from 6 to 8pm on Friday, December 19, 2014. Performance sites are located outside of Carlsbad Chocolate Bar on the corner of Carlsbad Village Drive and State Street and Viz Art Ink on the corner of Grand Avenue and State Street. Be there and get in the Christmas spirit. Carlsbad’s biggest, coolest film event kicks off on September 18, 2014 as the 2014 La Costa Film Festival brings some of the world’s best cinema to the Omni La Costa Resort. Click here for more info or to buy tickets. On Saturday, October 27, 2012, Scott Paulson and the Teeny-Tiny Pit Orchestra will add some aural flavor to a late-night, double feature picture show at the New Village Arts Theatre with the 1920s version of Dr. Jeckyll and Mr. Hyde starring John Barrymore and F.W. Murnau’s 1922 classic Nasferatu. 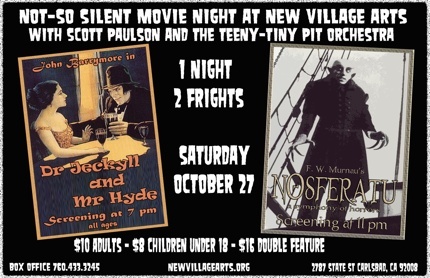 The audience will assist with some of the sound effects and musical gestures to accompany the films–Scott Paulson, of the Teeny-Tiny Pit Orchestra for Silent Films, will provide some quick training: Play on a real Theremin, if you dare! Strike the thunder-sheet! Crank up the wind machine! Play an orchestral harp in the pit orchestra! Rattle some ritual percussion instruments! Tickets $16 ($10 for just one film) and $8 for kids under 18. The first film begins at 7 PM with Nasferatu screening at 11 PM. The New Village Arts Theatre is located at 2787 State Street in Carlsbad, California. For more information, click the link. 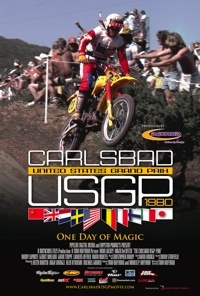 The Carlsbad Village Theatre will be screening The Carlsbad USGP:1980-One Day of Magic tonight, October 1, 2010, in celebration of the film’s DVD release. The classic motocross film documents racer Marty Moates’ win in the 1980 US Grand Prix on the legendary Carlsbad Motocross Track. A replica of Marty Moates’ #23 Yamaha YZ465 will be parked in the lobby and there will be other memorabilia for sale. 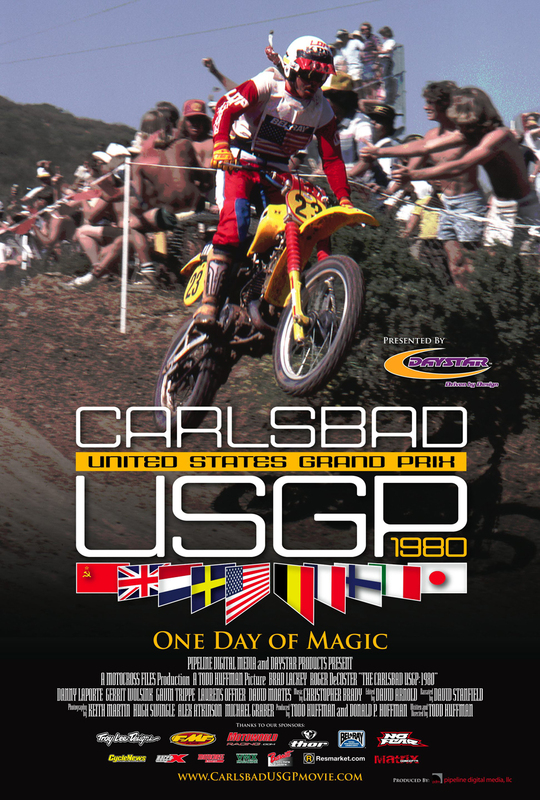 Aside from being required viewing for any Carlsbad motocross fan, this film is a great reminder of how Carlsbad looked before the business park went in. The Carlsbad Village Theatre is located at 2822 State Street in the Village of Carlsbadistan. Cinema Under The Stars kicked off it’s limited engagement Friday and Saturday night on the Army Navy Academy’s Maffucci Field located at 2605 Carlsbad Boulevard. As any of the 300 people who attended the Saturday, September 19 showing of Ironman will tell you it is a not-to-be-missed event. Sponsored by a variety of local business and vendors and presented by Hollywood Outdoor Movies, the films are screened on what is being touted as “the West Coast’s largest outdoor movie screen” that measures 52 feet wide and 4 stories tall. We don’t disagree—it’s basically a huge blow-up, drive-in sized movie screen with amazingly crisp HD splendor. Throw in a quality sound projection system and what that means for Carlsbadistan’s viewers is full, cinema-quality movies right in the Village. Finally. You still have a chance to see Cinema Under The Stars next weekend September 25-26, 2009). On Friday the feature is Night at the Museum II followed by Slumdog Millionaire on Saturday night. Grab a blanket, pack a picnic, and saddle up the Cruiser—this is the best bike date you’re going have in Carlsbadistan this fall. 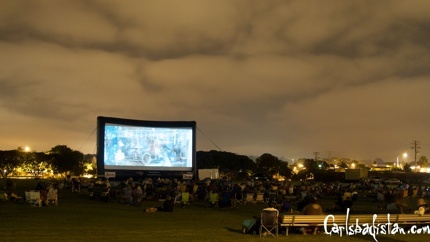 The lawn opens at 6 PM, and the movies start at 8 PM. Tonight, September 4, 2009 the Leo Carrillo Ranch in Carlsbadistan will host a showing of the Preston Sturges film Hotel Haywire as the first film in the 2009 Leo Carrillo Film Fest. Dentist Henry Parkhouse (Lynne Overman) and his wife Minerva (Spring Byington) have a perfect marriage until a practical joke backfires and she finds a lady’s chemise in his coat pocket. Wife and husband both consult Dr. Zodiac Z. Zippe (Leo Carillo) about what to do, and vaudevillians-turned-detectives Bertie and Genevieve Sterns (Benny Baker and Collette Lyons) get involved as well.